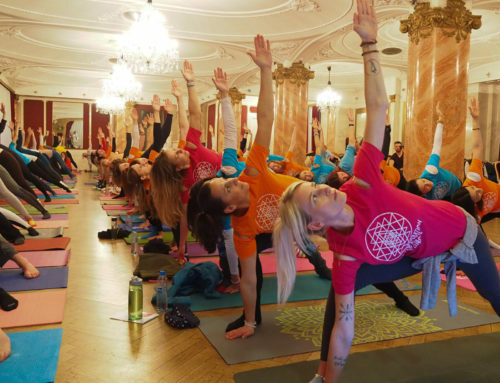 Every Sunday from 4:00 to 5:30 p.m.
Yoga Federation of Europe continues with a multi-year program directed on promotion and affirmation of healthy lifestyle and yoga as a sport for all among citizens, implementing a program called “PRACTICE YOGA WITH US”. Free yoga classes will be held from 3rd June to 16th September 2018, every Sunday from 4:00 to 5:30 p.m. in the Kampa Park, Prague 1. The project is supported by the Prague 1 Municipal District. 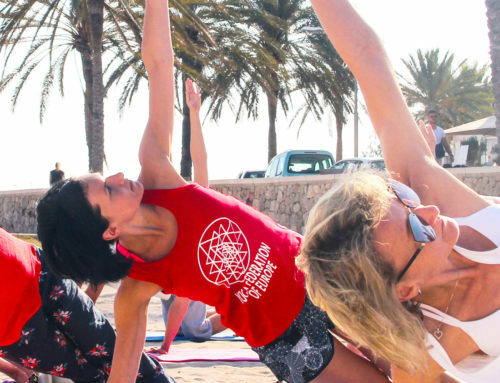 The public yoga classes will be conducted according to the accredited teacher training program of the Yoga Federation of Europe and will be lead by certified instructors with years of experience. Free public yoga classes are intended for all interested people, regardless of their age or gender. Time: every Sunday from 4:00 to 5:30 p.m.
You should have a comfortable outfit, water and towel or yoga mat for exercise. In the case of unfavorable weather, the yoga class will be shifted to the next week at the same time.